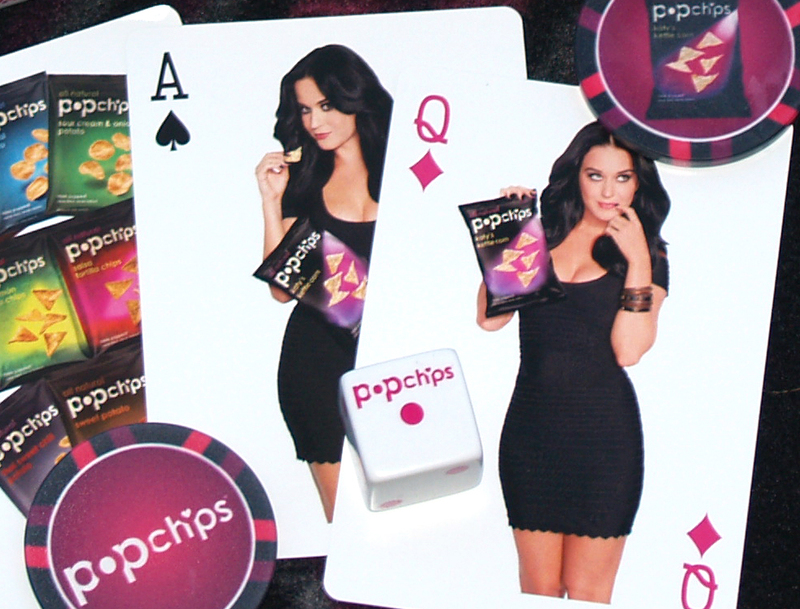 Talk about cool looking custom poker chips – the poker chips we designed for Katy Perry’s launch of her new Kettle Corn flavor for Pop Chips are some of the sweetest looking custom ceramic poker chips we have ever made! 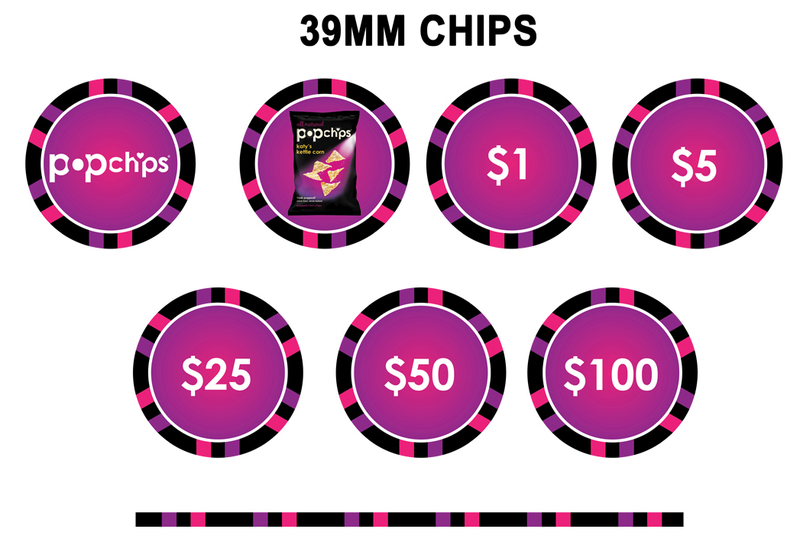 Featuring a vibrant purple and pink theme – these chips were used at her big promotional launch party along with custom playing cards – also designed by Ad Magic and The Poker Consultants. 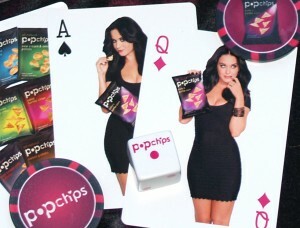 Making custom ceramic chips is tricky business and requires a good clean design and strategic color choice. Templates are available to assist clients in designing both the edges and the faces and free design assistance is always available.